Hi there! This month's technique challenge at Club Scrap is hosted by Artist Team Member Josette. Her challenge for us is stamping through stencils. Now I'll be honest-I had trouble getting this technique to work for me. All my stencils were small images and I had a really hard time getting an image to stamp through. So I decided to make my own stencil! 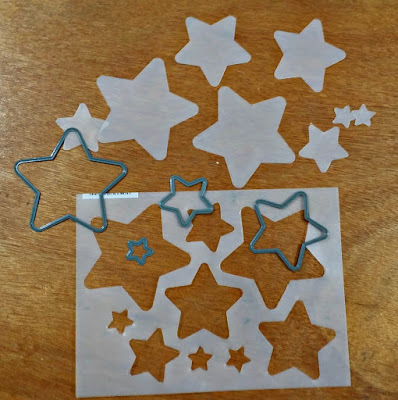 I had a piece of stencil plastic laying around and I used star framelits through my Big Shot to cut them out. This stencil worked so much better with the big spaces! I used stamps from Paris Flea Market to stamp through the stencil and on the background. I daubed around the edges of the stars to make them stand out a little better. I used papers and the typewriter image from the current Club Scrap kit Office Space. 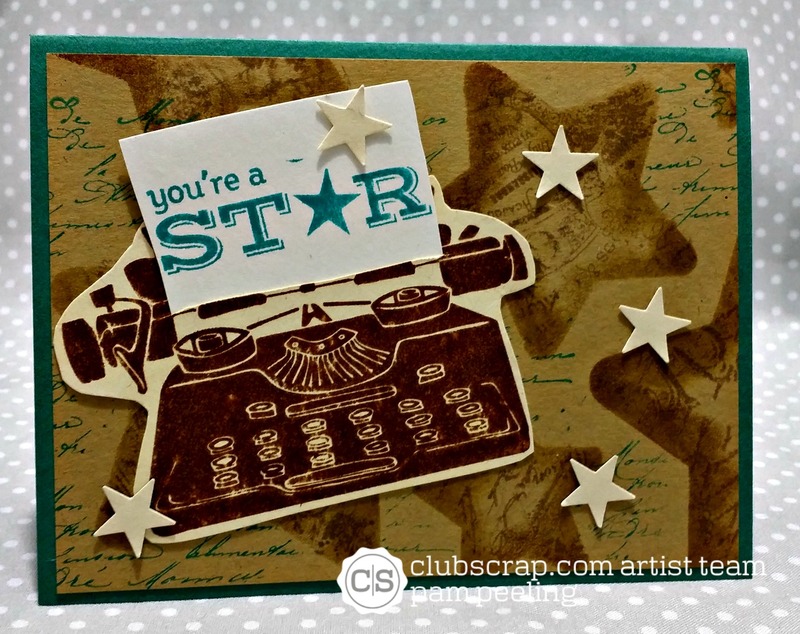 I hope you try this technique challenge and link up your own card at Club Scrap! I've noticed using extra cushion underneath the stencils when stamping helps a lot, such as a stack of magazines. Such a clever idea to make your own custom stencils. I love the finished card! Great tip, Karen. I might have to try this again. Brilliant idea on making your own stencil, Pam. Love the end result! Great card! Love the stencil you made!